When the season gets away from you, the best way to still get in the holiday spirit is to find easy ways to make your existing decor festive. This year I decided to put a reindeer (one of a whole bag full) to good use, and make him a new tropical home (in my terrarium.) And why do I have a bag of plastic reindeers you ask? I honestly have no idea. 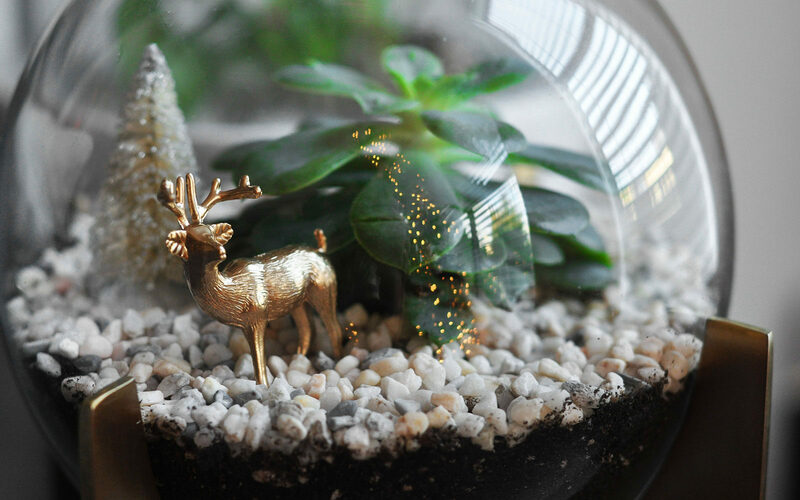 :) Of course I couldn’t just shove him in the terrarium and call it a day…I had to spray paint him gold. He looks so much more festive this way. Place some medium-sized terrarium rocks at the bottom of your glass terrarium. This layer is to help the soil drain, and you can use whatever color of rocks you’d like. I used black colored rocks (because that is what I had on hand) but rocks in a different shade help give the terrarium interest. Then add a little soil. Create a small well in the center and plant your plant, gently pack the soil around the base of the succulent. Once you have the succulent planted, use a plastic spoon to insert the small terrarium rocks around the base of your plant. 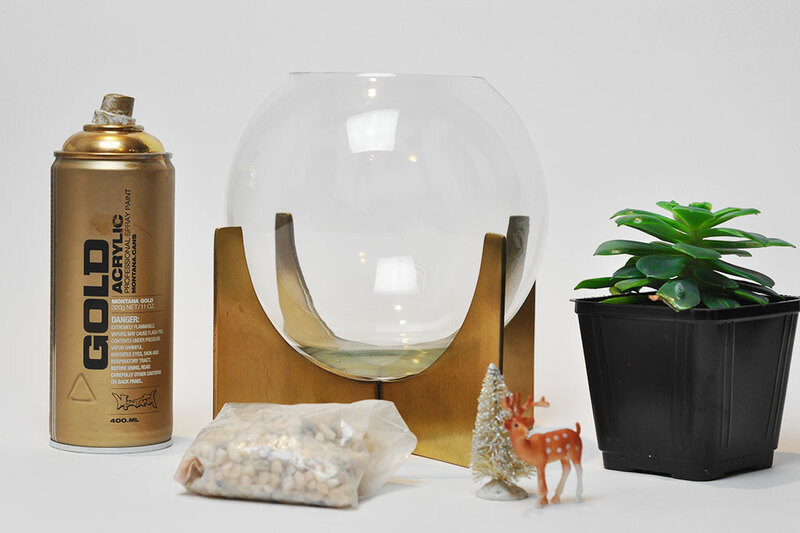 Spray paint your plastic reindeer gold, and let it dry. 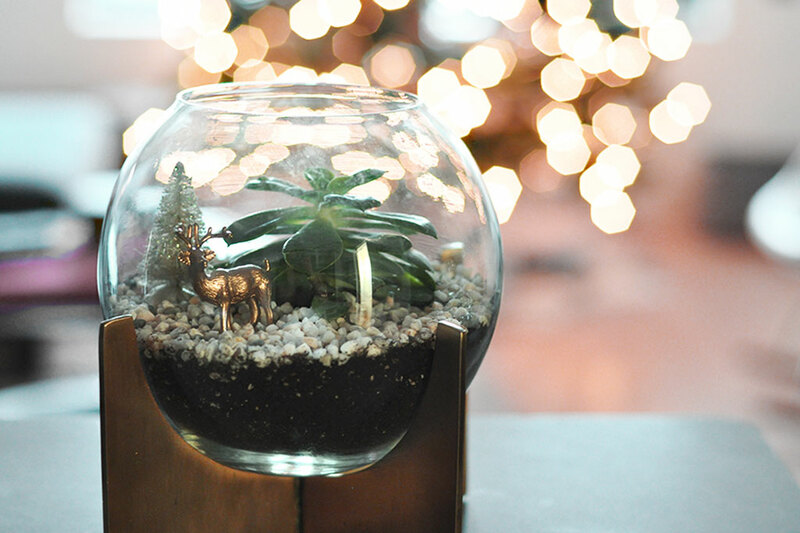 Once it’s dry place it into your terrarium…along with any other fun objects you would like to add. 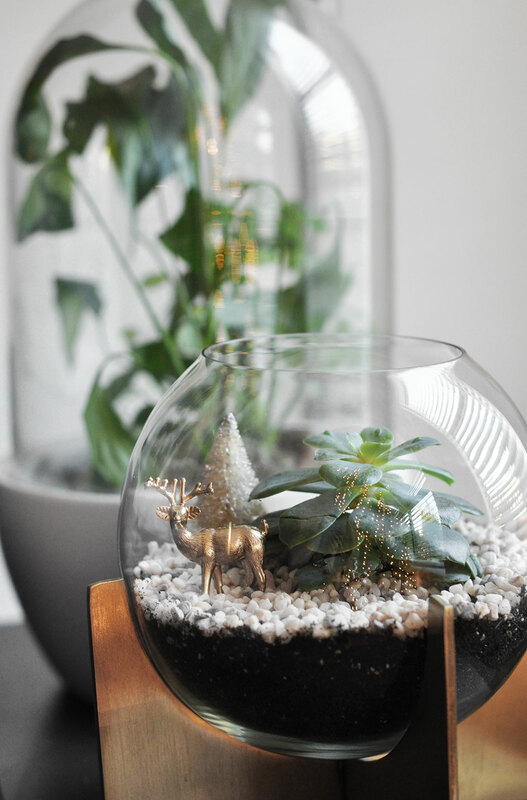 Such an easy way to make everyday decor festive!